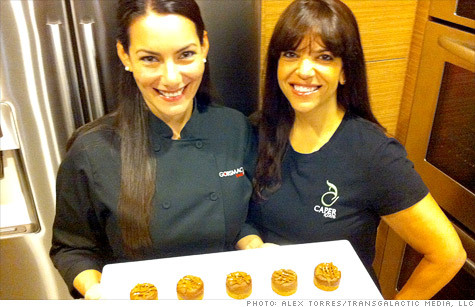 Bakery-owning sisters Vicky Carballo and Liz Fernandez were raised conservative and Republican. Fernandez supports Romney -- but not his hardline view on undocumented immigrants. Can Romney count on Hispanic entrepreneurs? New York (CNNMoney) - For some Hispanic entrepreneurs, Mitt Romney forces a tough decision. As small business owners, they like Romney's call for fewer regulations and lower taxes. But some are turned off by his embrace of hardline Republican Party views on illegal immigration. WOW, CNN understands us Latinos like my grandmother understood lunar module trans-orbital re-entry shapes mathematics. Give it up already, you don't know how irritatingly pathetic your attempts to pigeonhole us are.